Nomad Chair is a Nordic interpretation of the traditional Moroccan wicker chair. The Name is a contraction between “Nordic” and “Moroccan”, to the characteristic “Nomad”. Nomad is a reinterpretation of the classic complex wicker chair, where the number of joints is simplified to its function only. Through a close cooperation with suppliers, many experiments have been done in order to develop the Nomads large seat and back frames, as well as the back leg which runs all the way from floor to top of the back in one piece. 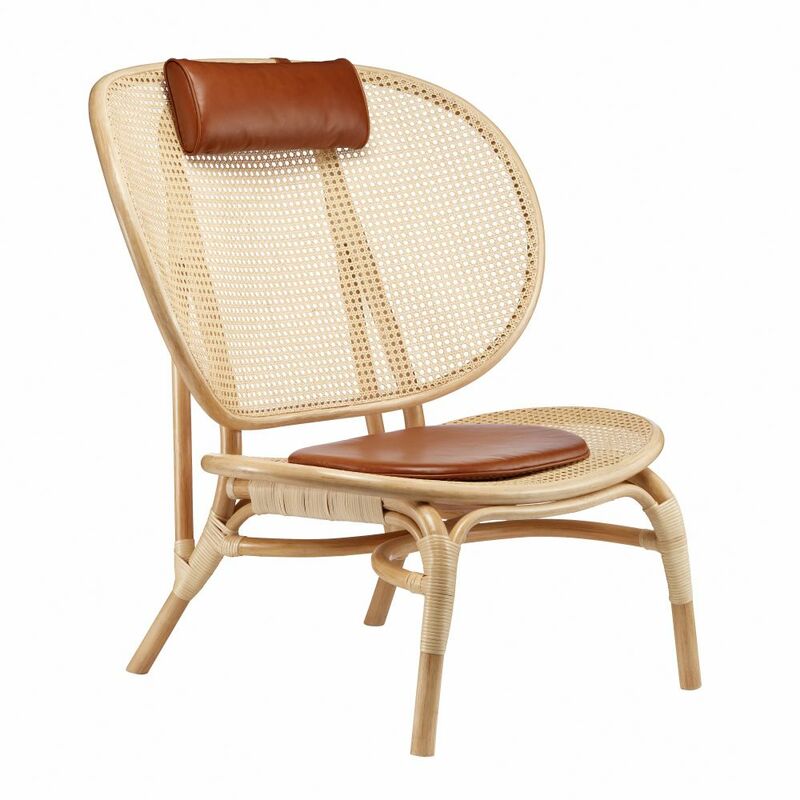 Seat and back are made of two large molded bamboo frames, with inlaid French bamboo mesh. The semi- transparent bamboo mesh gives the large surface a light expression and highlights the beautiful construction. With the chair follows a neck pillow with 3 heights, as well as a seat cushion for added comfort. Both pillows are produced in cognac leather, which highlights the warm bamboo. Kristian creates unique pieces through simple, functional and considered design. His designs aim to merge traditional design methods and new production techniques into high quality pieces of furniture and product design. Tommy has been responsible for the creative DNA of NORR11 since 2010, and has worked with a number of furniture designers. His interest in materials and product manufacturing is clearly seen throughout the whole collection. Since 2015 the two designers began a design collaboration. From Tommys many travels around Asia and Kristians studies in Japan, they strive to combine their passion for Japanese simplicity, ethnic details and Scandinavian tradition in timeless pieces of furniture.